Have you thought, why anybody will hack your business website? It looks very exciting in movies, but in actual practice its all about envision human interests, taking an opportunity, and veritable perseverance. Learn how hackers think, and how you can protect your business website. Certainly, WordPress is the most popular content management system (CMS) for designing websites. It covers an impressive 59% of the CMS market share. This popularity also leads to a prime targeted platform for Hackers and other malicious users. Commonality, we think that why anyone will hack my website? I have nothing valuable for anyone on my website. It is the wrong perception to approach the web with. A wretched statistic shows that there are roughly 25% users globally who are well informed and able to handle medium-to-high difficulty tasks. In this article, we go through some of the common practices in which a website can be compromised, some reasons why websites get hacked and what users can do to protect themselves. a black hooded man sitting in front of dark screen running lines of code. In fact, the most common hacks are quite simple in nature. Not all types of hacking stem from code either. Social hacking – attacks are still some of the most threatening ones. According to Wordfence (WP security plugin) monthly security reports, the majority (91%) of attacks are actually brute force attacks. A brute force attack is a very simple concept. 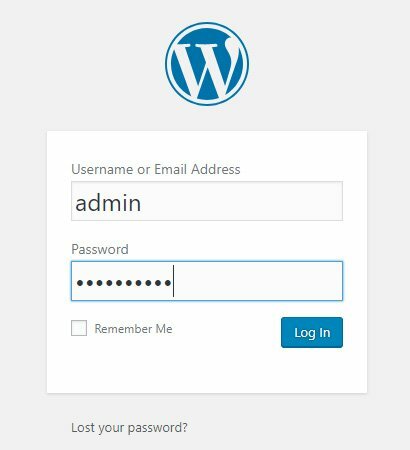 Just try to login someone’s website by putting /wp-admin at the end of the url, try to login with different combinations of usernames and passwords. In this way you are essentially commencing a brute force attack. Now imagine if you had access and a script that automatically tries to log in using different combinations of usernames and passwords. There is a high chance for insecure accounts to be cracked this way. There are other ways also that Hackers use for their malware injections. As we know WordPress themes use a number of plugins to function properly. Sometimes because of poor code quality and innovations in the field of hacking – exploits can be found by the hackers. Hopefully, a white hat hacker, was the one who found the exploit in the theme plugin files. In any case, after exploits are known, they are added to vulnerability lists which are easily accessible over the internet on the websites. There are also malware attacks that are aimed directly on the server. It is a very complicated and broad term of hacking. Now We come to know that how websites can be hacked, but the question is why it was hacked? And it still remains unanswered. There are so many reasons that that why hackers target your website with malware injections and viruses. The most complicated form is Advertising: there are many ways to ad injection attacks, as they are known. Another common source of hacking one’s business website can be to simply deface it as a part of hacktivism. These causes vary as per the groups who are carrying these websites. Unfortunately, all hacks are not visible and some of them can be quite difficult to track. If you are using wordpress as shopping portal then you might save your client’s details like credit card details or any personal information. This information is quite valuable for hackers and they will not make their presence known so that they can keep exploiting this information from the website. Keep your passwords secure: always use a strong password as for admin levels and force user as well for strong passwords. For this you can use iThemes security plugin. Do not repeat your password on multiple sites. Update your website passwords every two months. Never use admin or publicly available emails for your admin account: always use a different username for your website. Never use ‘admin’ as your username. Update your website time to time: As we know, that recognised exploits are made public. If you are using outdated versions of plugins or themes then you are might be at risk. Use a reputed web hosting company: hosting services provided by an non reputed company may lead your website being hacked again and again because another website on the same server was compromised. Only grant access to users you can trust: don’t give access of your website to everyone or who you don’t fully trust. Not everyone needs to be an admin. Use a security plugin: similar to antivirus programs, there are security plugins for WordPress websites. iThemes security and Wordfence are popular security plugins for wordPress. https://www.riacube.us/wp-content/uploads/2018/06/website-hack.jpg 700 1200 Sharat Sharma https://www.riacube.us/wp-content/uploads/2019/02/RiAcube-logo.png Sharat Sharma2018-06-13 12:46:212018-06-14 15:43:48Why and How My Website Got Hacked?